We are passionate lovers of God’s Presence and also his Church. Somewhere in history, the church stopped gathering around His Presence and instead began meeting around a Sermon. Our desire is to see his Bride of Christ built up, strengthened in His Presence and sent out into the world to bring heaven to earth in a powerful demonstration. They are genuine, truthful, trustworthy people who have ploughed their ministry field faithfully over the years. It is obvious that now the hand of the Lord is on them, leading them to go further afield to share the eternal wisdom revealed & accumulated over these years in ministry. Gwenda and I wholeheartedly recommend them to you. We know you will love them as we have also come to do. I have known and worked with Tim and Sue Eldridge for a number of years, and can testify to the great call of God on their lives to serve the body of Christ at large. It’s been a special joy for me to watch them do naturally, what others try to do without ever succeeding. Yet they do it well, almost without effort. They are people of the presence who lead as a mom and dad, and not a CEO of a corporation. They have learned the beauty of relationships, and are those who celebrate the victories of others. It is with great pleasure that I highly recommend their ministry to you. It is my honour and pleasure to recommend Tim and Sue Eldridge, whom I consider to be seasoned and capable leaders in the body of Christ in these challenging times. I have had the privilege of working alongside of them for several years and have observed that this couple is the epitome of selfless leadership, which is indeed a vanishing virtue. The Eldridges carry a very unique grace and gift-mix enabling them to work with leaders at every level. Their passion for God's presence and compassion for His family brings confirmation and activation to those longing to fulfill their kingdom destiny. I have travelled the world in kingdom work for 39 years and consider them to be top-tier leaders. Engaging this dynamic couple will enhance your ministry or business. Tim & Sue Eldridge carry a beautiful blend of fire and authority. This ministry offers key revelations about creating a supernatural environment for the local church. I've loved working with them over the years and am happy to see them making more time to focus on encouraging the body of Christ in revival. I have known Tim and Sue Eldridge for many years. They have been regional leaders with Global Legacy - Bethel’s relational network of churches - and they have a long-standing relationship with Bethel Church. Everywhere Tim and Sue go, they exude the love of the Father and impart signs, wonders and miracles. They will awaken you into new dimensions of spiritual hunger, challenge you to press into God for greater manifestations of His presence, encourage you to come into agreement with the kingdom of heaven and change the world around you. I highly recommend their ministry! 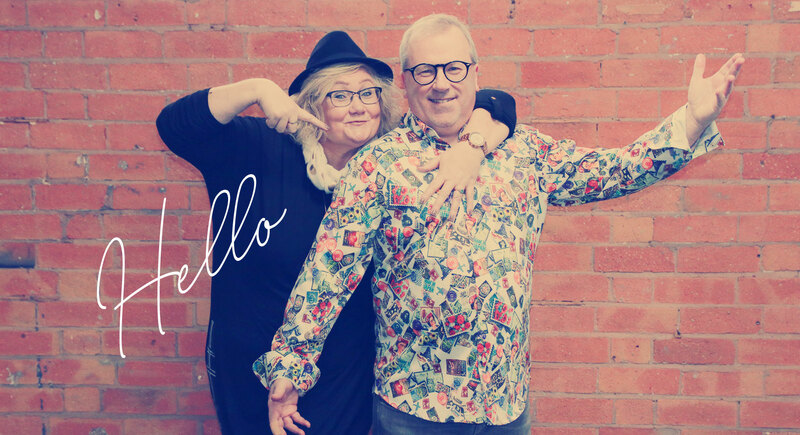 Tim & Sue are lovers: lovers of life, each other, Jesus and the family which is His church. When you are with them you know that they care about you, that being together is important and that none of our goals will be achieved in isolation. Expect to be challenged by them, expect to end up thinking and living differently; not for the sake of just being different but because they believe that there is a better way. But - they don’t always do what you expect because they left predictable expectations behind a long time ago. Tim and Sue are our friends; we hope that they become yours too. I met Tim and Sue Eldridge in 2009 for the first time. We met in a fire tunnel and this has lead to a continuing friendship that both my wife and I very much enjoy. One of the things that is remarkable to me is the fact that Sue and Tim are very relational people: their priority is not on ministry or work but on people. This is so important because it will influence the direction any ministry will take: it is for God and for the people! I also got to know them both as a man and woman of integrity and authenticity: they resisted any fear of men and never tried to be anybody they weren’t. Instead, their great example of authenticity encourages everyone around them to become all God has planned us to be. It has been my privilege to have known Tim & Sue for over 30 years. As young people they exuded a passion for God and a determined pursuit of His purposes in their generation. Over the years, each encounter with God’s Spirit has poured fuel on their passion and clarified their identity and calling. They are delightful people to be around: they are real, authentic and grounded but also captivated by the Lord’s goodness, kindness and love. They have experienced genuine breakthroughs of God in their lives and in their family. As a result, they carry faith and hope for others to experience breakthrough and release in their own lives. I consider highly Tim & Sue Eldridge as key leaders in Europe who do difference with excellence. Their amazing gifts to connect various people and ministries together is a blessing of God for this season where God is calling His people to come together. They are very humble, but know who they are and what’s their call. They are part of this chosen generation who are not looking to promote their own names but, rather, the kingdom of God. They are carrying a true apostolic anointing by serving and helping others to enter into their destiny; they are lovers of life as well as pursuing and manifesting God’s presence. I consider them as great friends and it’s a privilege and honour to work with them for HIM. I can highly recommend them to minister at your place. Tim and Sue have an amazing gift to connect and encourage the body of Christ across the world. They serve God's people passionately, hear Him personally and minister powerfully. I thoroughly commend their ministry. I’m excited for the launch of Presence Ministries International. I’ve watched Tim and Sue grow in their leadership for many years now and I’m grateful for their faithful pursuit of the Father’s calling on their lives. I know they’ll see much fruit as they step out on this new adventure. Tim and Sue live a kingdom lifestyle like few others: they promote, encourage and stimulate others to greatness. They live a presence-based life and see that manifest in the lives of those around them. They are real and honest. They don't pretend anything of themselves and create a safe place in their environment by allowing everyone they meet to be real too. From that base they then challenge and encourage you to be all that the Father has called you to be. This supernatural reality is infectious and leads to a pursuit of something you wouldn't have reached without it. We love them as friends and honour them as leaders and endorse them to you. Tim and Sue Eldridge are catalytic leaders who release both the power and wisdom of God. They have an unusual ability to rally people and ministries together in Holy Spirit-infused partnerships to do what we cannot do by ourselves. They are also a great strength to Bethel Church and our personal ministry. We are really delighted and honoured to be a part of PMI. Kingdom Writing Solutions - the business we founded and currently run - has needed an appropriate home and covering. PMI offers just that for us. There are three main reasons why we are part of PMI. Firstly, because we put a very high value on accountability. At Kingdom Writing Solutions we want to be under healthy, apostolic authority. Tim and Sue both model and offer that, preventing us from "doing our own thing". Secondly, because we have a great need for advice. Many of us in PMI are going to be a Joshua 3 people - walking on the road less travelled. As a couple we have benefitted countless times from Tim and Sue's wisdom." I have known Tim & Sue for over 30 years and in that time we have experienced many different moves of God. These have brought us all into a deeper revelation of our Father’s deep, deep love for us, our identity and His heart for His bride and for the nations. Tim and Sue have always been at the forefront in this. They have always sought, above all else, to find out what God is saying and to do as He asks; this has brought us corporately as a church, and also me individually, into a deeper revelation of Him. Tim and Sue are two of my favourite people in the UK. They are so real about life and their passionate pursuit of God in all His goodness, no matter the obstacles. Their family story reflects God's glorious love to see every family experience personal revival. Their heart to see God's kingdom-culture spread across the UK, Europe and the world is infectious to be around. I highly recommend connecting with Tim and Sue to those who are watching what God is doing in our generation and wanting to partner with Him. Tim and Sue wonderfully reflect the heart and pastoral care of the Father. It is an honour to walk alongside them and witness how God is currently using them within apostolic and prophetic ministry to bless and encourage others. They walk in true humility and authority, radiating the love of Christ. I have had the privilege of getting to know Tim and Sue Eldridge over last few years. It has been part of an exciting journey as God is connecting people with similar passions and dreams, particularly about the manifest presence of God. My summary of their lives would be "generosity, fun and kindness". They have a desire to see others prosper with God's blessings and have a particular gift of "connecting people". I am proud to call them my friends and happy to walk alongside them in the adventure of Christian faith. When Tim and Sue are around, great things happen. Their lively and down to earth character brings out the best in you and being around them is followed by laughter, growth, friendship and great conversation. Tim & Sue are great investors in people and saw us for who we really are. They are authentic gems who are in it for the long haul. We can only encourage you to take the opportunity for relationship with them if it presents itself! It is a huge privilege to know Tim and Sue and get to recommend them. They are many notable things. They are forerunners; they have been at the leading edge of what God is doing in our nation for some years, pointing the way for others. They are phenomenal connectors, both of people to God and to one another; they have such a grace for people, putting them at ease and making them feel special. They have undimmed passion even through challenges. And they carry a strong sense of identity in God, secure in the Father's opinion of them: the fruit of that is how well they give strength to others. There is, at this time, a clear resurgence in the global church of the understanding, purpose and necessity of apostolic leadership. Apostolic leadership will bring realignment to the church so that she can fulfill her heaven-given assignment. Tim and Sue Eldridge have both a mandate and a grace to impact leadership teams and groups with this revelation. 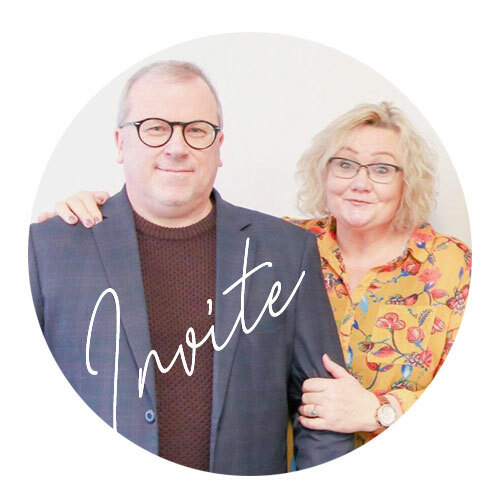 Tim and Sue work really well together, but are also able to minister separately, so if you would like to have them speak at your church gathering, weekend retreat, leaders’ meeting, school or conference then please contact them using the “Invite” page.